ChiIL Mama's last 2 ticket giveaways were such a success that we're offering our readers one more! Chi-Town city dwellers, this one's for you! 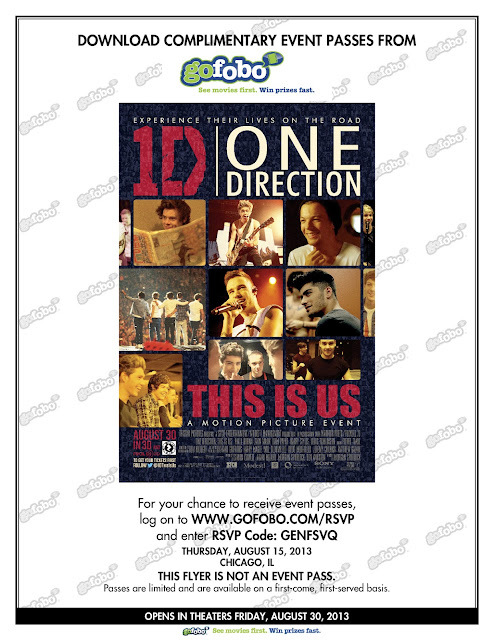 The flyer above contains a code that will allow anyone who is interested to log on to www.gofobo.com/rsvp and enter the code listed on the flyer for the chance to redeem a free admit-two pass to the screening this Thursday, August 15th at 7:00PM at Kerasotes Showplace Icon Theater (150 W. Roosevelt Road, Chicago, 60605). Please note the passes are first-come, first-served and a pass does not guarantee a seat. Those with passes should arrive early. ChiIL Out With ChiIL Mama and FREE Advanced Screening Passes. ChiIL out with FREE tickets from ChiIL Mama and our friends at GOFOBO. We dig Morgan Spurlock's work. Back in the day, my husband was the sound guy on 4 seasons of Insomniac With Dave Attell with Morgan Spurlock's cameraman. He even got called to do audio for one of Spurlock's films, but he was already booked. We still try to catch everything he directs.